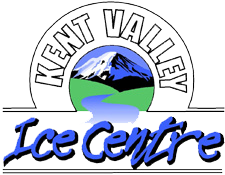 Host an unforgettable birthday party at Kent Valley Ice Centre. We offer ice skating, miniature golf, and batting cage parties. With all of our packages, your partygoers will receive either ice skating, miniature golf, or batting cage admission, (along with skate rental/putters/bats – depending on your party choice), plus pop, ice cream, and a two-hour table reservation, so all you need to do is bring the cake and at least 10 guests. You can add more guests, a private party room, a group ice skating lesson (skating parties only) and additional food as needed (subject to Café hours). You can even upgrade to combine skating, miniature golf and/or batting cages if you prefer more activities for your party. Making a reservation is easy! Just pick one of the four packages below, click Buy Now, and call office @ (253) 850-2400 ext. 0 to select your date! Please call 7-10 days in advance of your party date if possible. Not all dates may be available on short notice. • Bring your own cake, cupcakes or pie and we'll take care of the rest!